VietNamNet Bridge – Tax incentives should be used to allow enterprises in the fields of information and technology to maintain their businesses and pay taxes in Viet Nam, Deputy Prime Minister Vu Duc Dam stated during a conference held by the National Commission for IT Application on Monday. The Deputy PM, who served as chair of the conference, devoted much attention to tax incentive policies for IT enterprises, which would encourage the enterprises to grow and become big businesses that would promote the industry. Dam said that if Vietnamese IT enterprises were provided tax incentives, they would no longer have to open their companies and pay taxes abroad. Good tax incentives would even attract enterprises and individuals working abroad to open their companies and pay taxes in the country, he said. Nguyen Thi Cuc, former head of the Ministry of Finance's Tax office, said it is necessary to amend the incentives related to value added tax, corporate income tax and personal income tax. She cited the application of preferential corporate income tax to software producers as an example. Accordingly, software enterprises could receive a preferential rate of corporate income tax for up to 30 years, depending on their business scales. However, due to a lack of specific regulations on the issue, none of the enterprises would benefit from that, she said. Cuc also said that the current tax incentives for IT enterprises are not as good as they were from 2001 to 2008. When the law on corporate income tax and personal income tax took effect, it eliminated the Government's tax incentive packages in the field of IT. "We need to issue incentives to help IT enterprises to keep up with others in India, China and the Philippines," she said. The delegates said it is necessary to make a specific list of IT services with preferential tariffs in the high-tech field. Deputy Minister of Finance Tran Xuan Ha said suggestions on adjustments related to tax incentives for IT enterprises and individuals would be submitted to the National Assembly Standing Committee and the Government. Addressing the meeting, Deputy PM Dam required the Ministry of Information and Communications to update IT professions - which would be on the list of receiving tax incentives - to the database of business lines, and guide relevant agencies to carry out the incentive policies. The ministry needed to co-ordinate with the Ministry of Finance to offer clear guidance on tax incentives for enterprises and individuals. 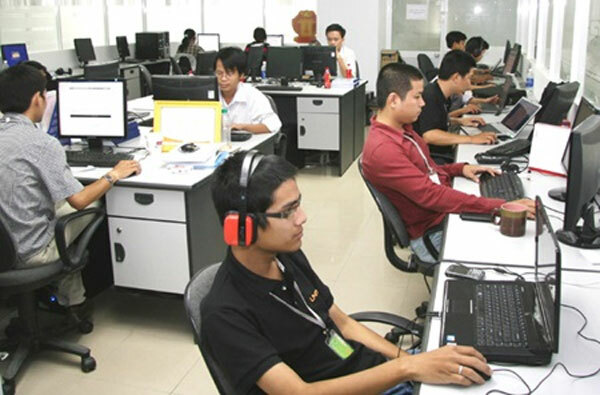 The IT industry in Viet Nam has achieved a high growth rate. Last year, the revenue of the industry was estimated to be more than US$27 billion. Viet Nam has been among five countries with the highest growth rate of IT in the world, and it has attracted many top-ranking corporations such as Samsung, Microsoft, LG and Intel.